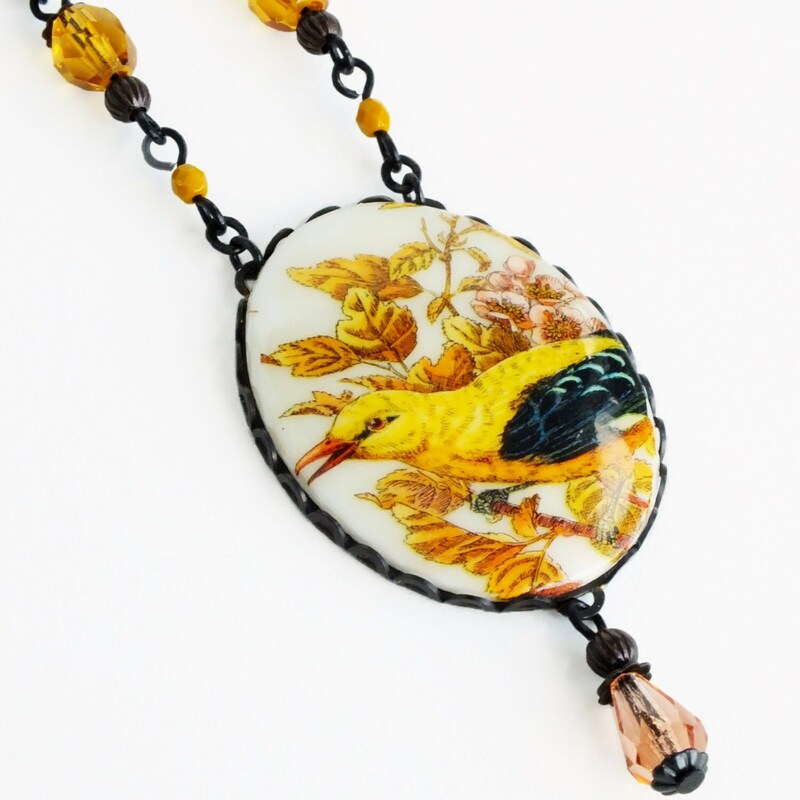 Handmade yellow Art Deco bird necklace with large vintage cameo pendant. US made antiqued brass setting, chain and filigree. 18 1/4 inches - 46.5 cm long. 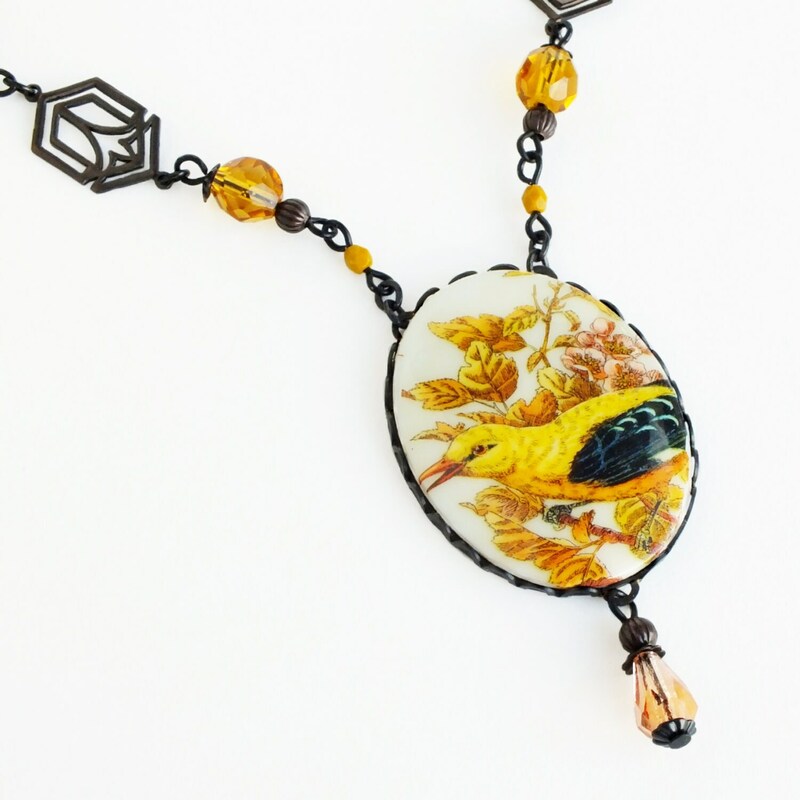 Made with probably my favorite vintage cameo! 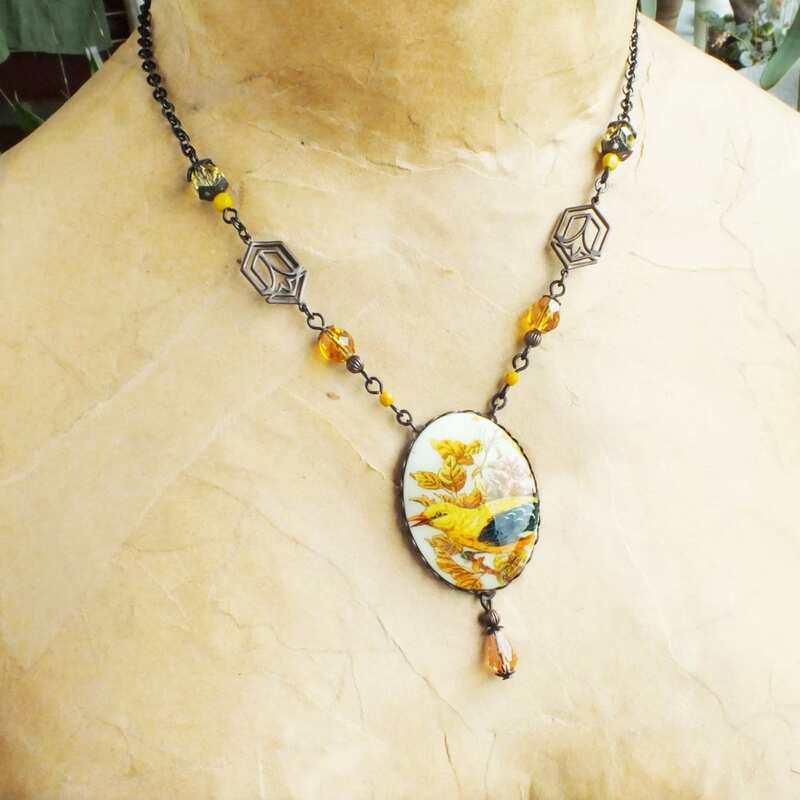 Featuring a beautiful yellow finch amid golden yellow foliage. 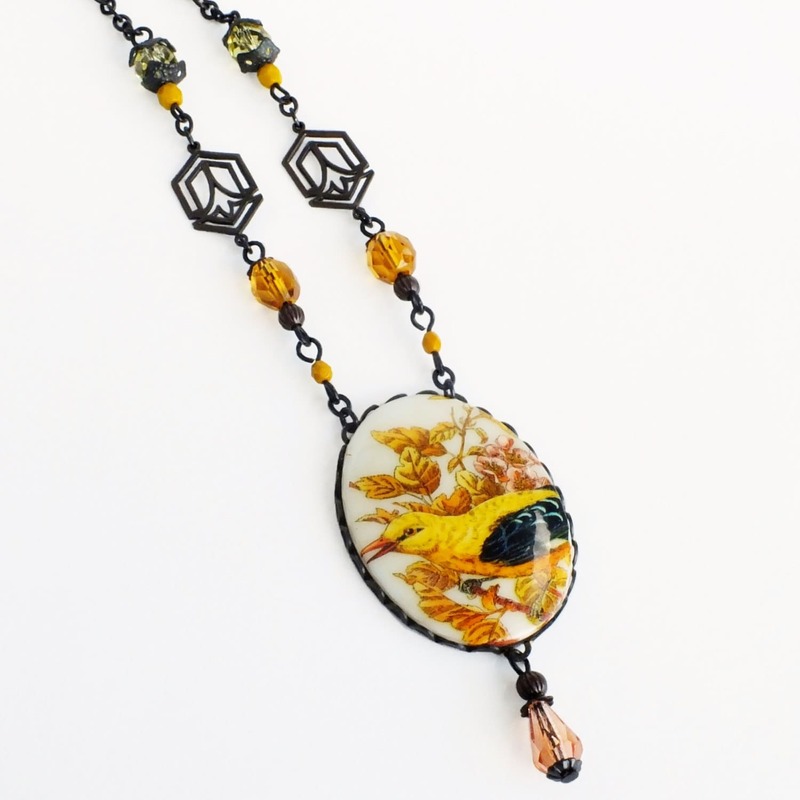 I added mustard yellow, clear topaz and peach glass beads that accentuate the palette of the pendant. 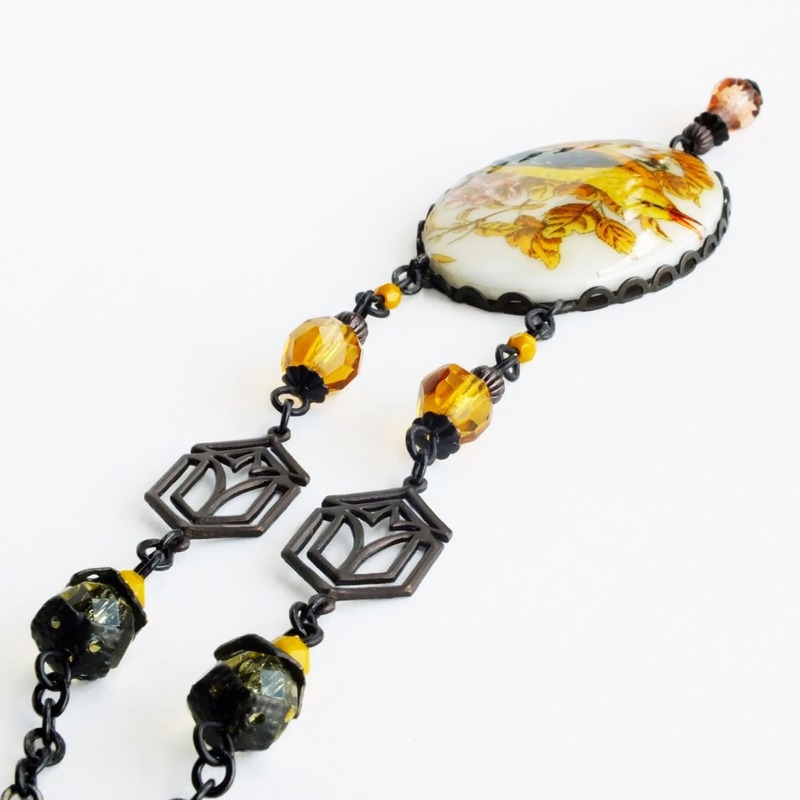 Accented with Art Deco styled oxidized brass filigree.